With greatest of ease, Circus Juventas flies to D.C.
One of the groups appearing in the Smithsonian Folklife Festival starting today on the National Mall in Washington is Circus Juventas, the youth circus school in St. Paul. It's one of only two such schools chosen to perform for the 50th anniversary of the annual Folklife Festival, which this year explores the circus arts. 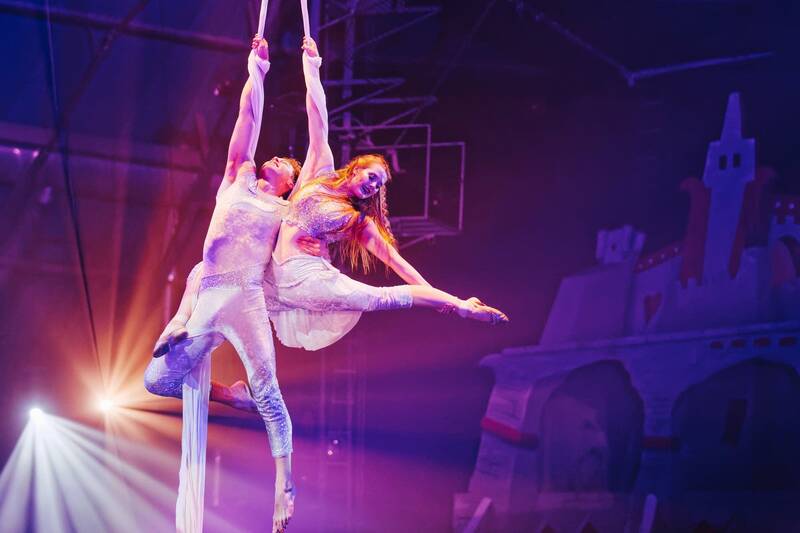 The festival is featuring top professional circuses from around the country. The Juventas group will perform material from "Wonderland," the school's big hit from last summer, based on "Alice in Wonderland." For the Smithsonian Folklife Festival, Circus Juventas had to shorten the performance to an hour, less than half its original length. "We knew it was going to be challenging," said Juventas founder Dan Butler, "but in the end it was much more of a project than we thought it would be." This is no simple field trip, Butler explained during a rehearsal at the school's permanent big top in Highland Park. He was working to address a seeming mountain of details: How much time will they have to install the rigging before their public dress rehearsal? Will there be enough electricity to power the hoists that lift the trapeze artists into the air? "The kids will be busy from 9 in the morning until 5:30 every day, doing demonstrations, doing performances, working out or coaching in the Arts and Industries building, which is where the circus school will be," he said. Despite the workload, he said, the trip is worth the effort. "To go on something like this and participate and to be highlighted the way Juventas is going to be highlighted is just an incredible opportunity," Butler said. "It's about the kids having the experience ... We really want them to see what they're a part of, on a national level." As they rehearsed their aerial moves, some hung from chairs or triangle trapezes, others from silks and rope ladders. Their broad shoulders suggested years of serious practice. 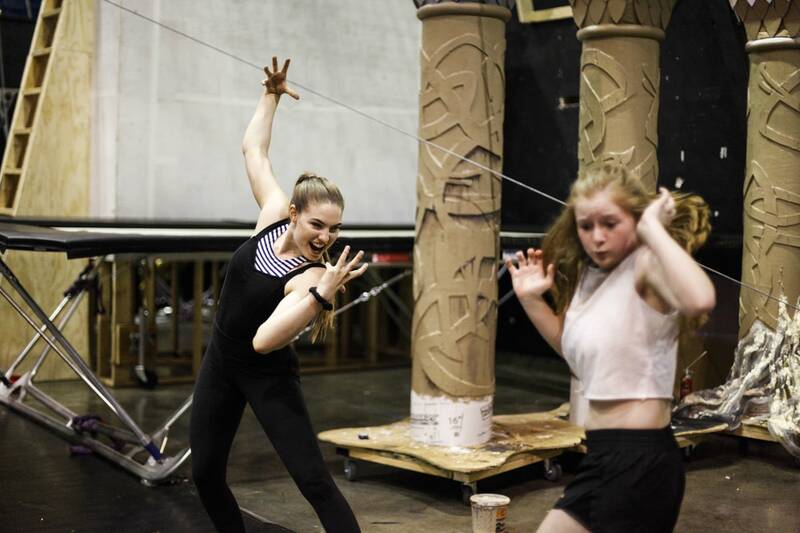 "I'm really excited because we get to teach kids," said Makenna Cook, 15, who plays the part of Alice. She said she loves opportunities to engage with kids, whether they're younger students or members of the audience. Cook started taking classes at Circus Juventas when she was 9. Now the school is like a second home. "I feel so comfortable here, and when I first came here I was not confident in who I was," she said. "I barely talked to a single person, I hated who I was. And coming here I've learned to accept myself, accept who I am, set goals and accomplish them." As rehearsal continued in the center of the tent, teachers were hard at work with their regular classes, teaching 3-, 4- and 5-year-olds how to do somersaults and how to balance while standing on a ball. Circus Juventas serves approximately 2,500 students each year, making it the largest performing arts circus school in North America. It teaches Cirque Nouveau, or "contemporary circus" — the type commonly associated with Cirque de Soleil. Butler said that while the high-profile Ringling Brothers and Barnum & Bailey circuses have closed, the circus arts are actually stronger than ever. 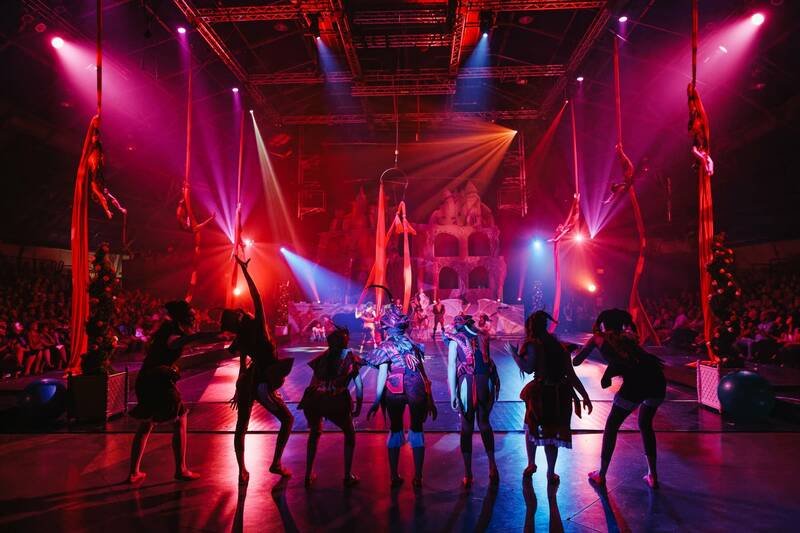 "When we founded Juventas 23 years ago, there were 300 circus schools in France alone. There were six in America," he said. "Now there's over 200 youth circuses in America. This isn't even a renaissance, this is a completely new phenomenon that's exploding across the country." That phenomenon will be on display at the Smithsonian Folklife Festival. Once the festival closes July 9, the students will hurry home so they can get back to rehearsing their next production. 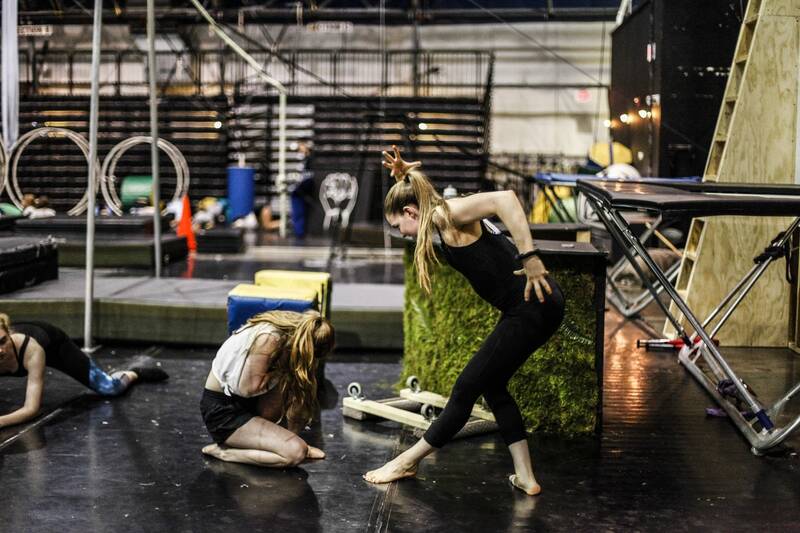 "Nordrsaga," an acrobatic exploration of the Nine Realms of Norse mythology, opens July 28 and runs through Aug. 13 in St. Paul. Correction (June 28, 2017): Sophie Bauer's last name was misspelled in the photo captions in an earlier version of this story. "Nordrsaga" was also misspelled. The story and captions have been updated.